A couple of nights ago, I was walking along the outside of Kensington Gardens. The sidewalks were empty and the streets relatively quiet. 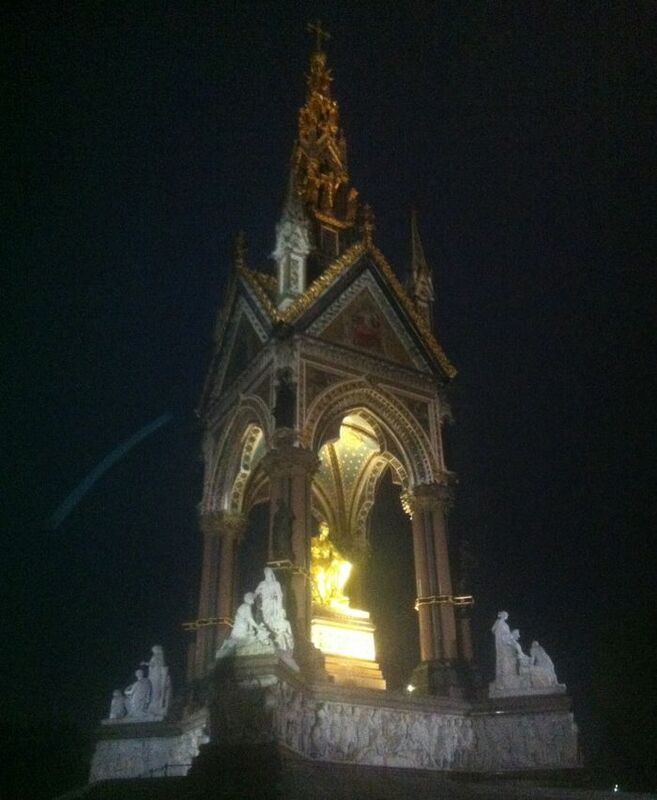 Lost in my own thoughts, I happened upon the Albert Memorial, aglow in the late evening. Queen Victoria famously went into mourning when her husband, Prince Albert, passed away. She honored him in countless ways throughout London – from Royal Albert Hall to the Royal Albert Memorial Museum. And yet this Memorial struck me, with its lonely statue of Prince Albert, lights searching through the dark night. To love and long for someone that much.